An undercover investigation has led to dozens of arrests in cities throughout Israel of a gang that was involved in smuggling drugs and selling weapons to criminals and terrorists. Police seized large amounts of drugs, weapons, and cash in Jaffa, Tel Aviv, Bat Yam, Shfaram and Haifa. The months-long investigation involved dozens of agents, many working undercover to catch the gang, which had a major impact on funding crime and terrorism, police said. Regarding the weapons, police said that they were to be used in terror attacks as well as for criminal activity, and that security forces were determined to seize all weapons that were being held illegally by all people, in order to better protect all Israelis as well as residents of Palestinian Authority-controlled areas, who are also under threat by terrorists and criminals. IDF soldiers overnight Monday arrested the mother of Assam and Salah Barghouti, the two terrorists responsible for recent attacks in Shomron. The IDF did not indicate the reason for the arrest. Assam Barghouti in November carried out a shooting attack near Givat Assaf. Killed in that attack were IDF soldiers Yuval Mor-Yosef, Hy”d, and Yosef Cohen, Hy”d. His brother Salah Barghouti had carried out a terror attack near Ofra and had escaped – but was tracked down and eliminated by Israeli forces several days later. 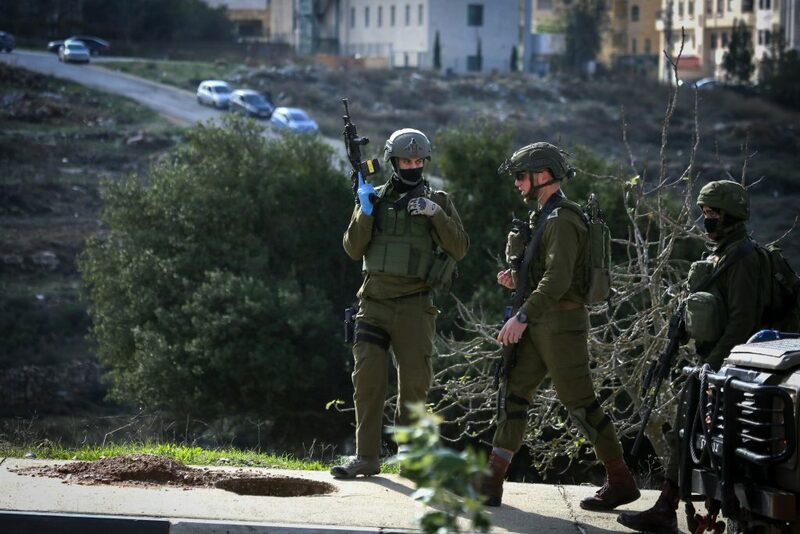 Assam Barghouti decided then to carry out the shooting attack near Givat Assaf, one of several he had planned with his brother, officials said. Officials said that he was found with several weapons, and was actively planning another shooting attack that was to take place in the coming days. He was arrested in December. Overnight Monday, security officials said they arrested 25 wanted security suspects in other areas in Yehudah and Shomron. The suspects were wanted for participating in rioting and throwing stones and firebombs that endangered Israeli civilians and IDF soldiers. Several of the suspects were also charged with belonging to Hamas. All were being questioned on their activities by security forces.